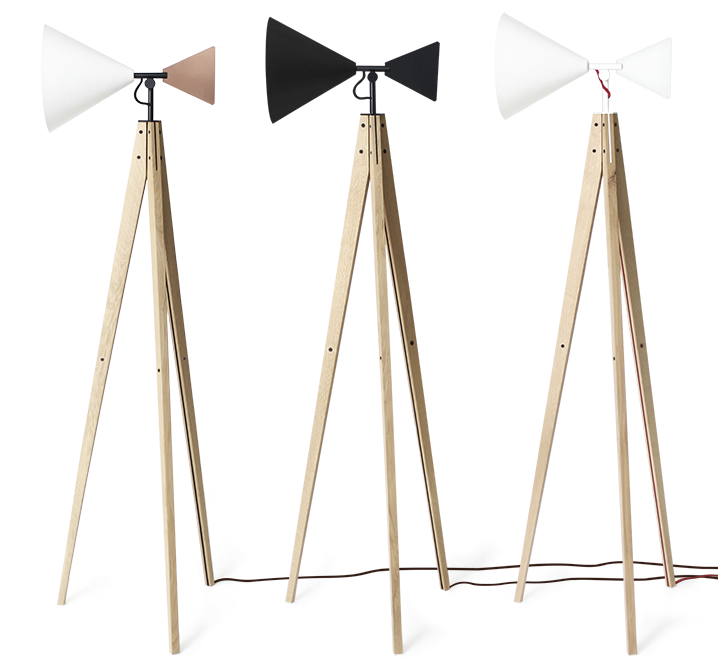 Inspired by a range of shapes and structures but mostly by a type of windmill used for pumping water, Light Tale is a floor lamp in which the sense of balance and good proportion work together to serve functionality. 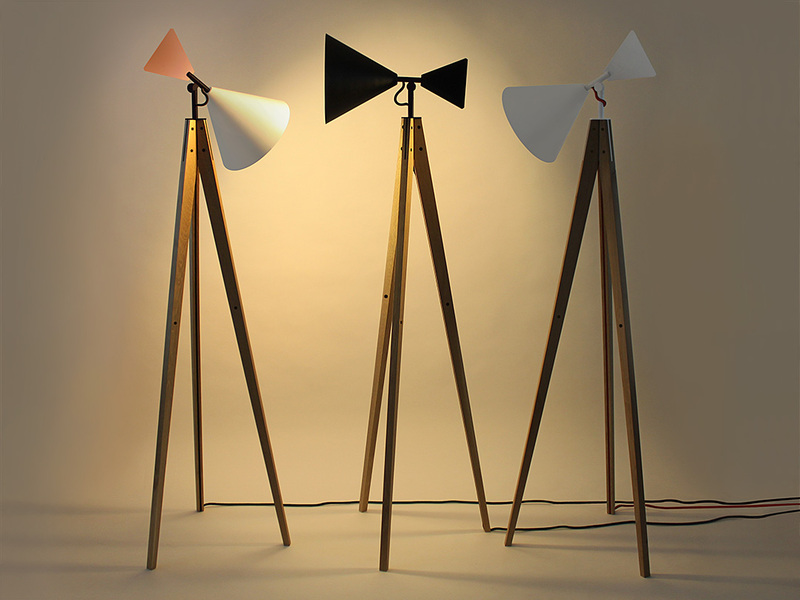 The geometric shape of the shade tames and gives a sense of touch to the light which is otherwise an indefinite element. 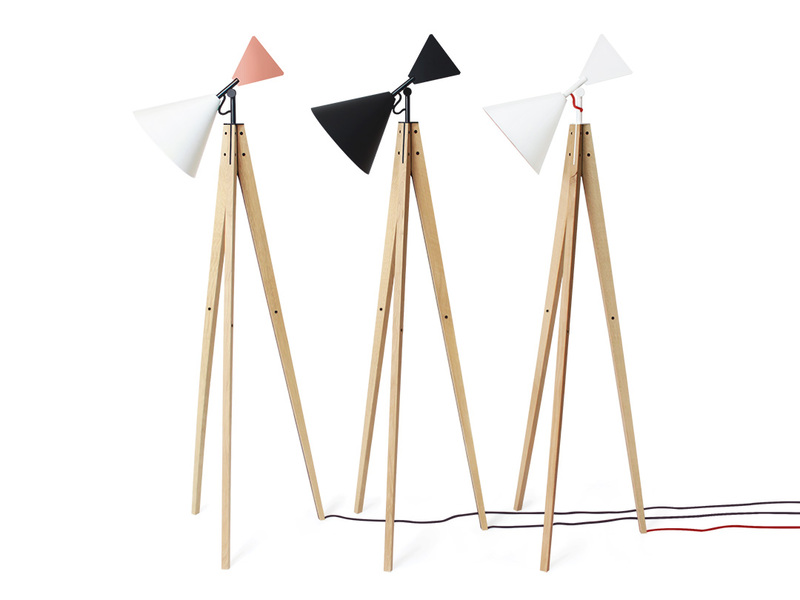 It acts mostly the same way the windmill harnesses wind to transform it into energy, only this time energy is transformed into light. 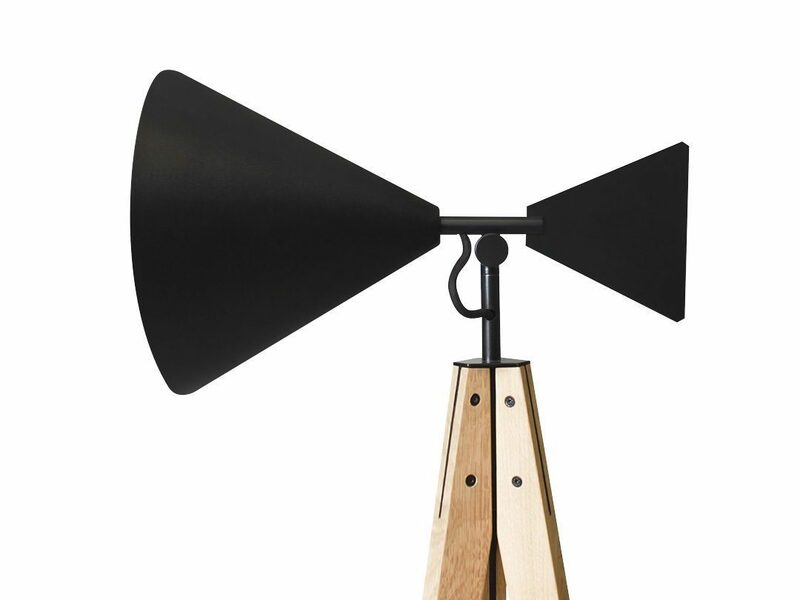 The tail at the back of the shade gives comfort and ease in directing the light source to the desired location, as the tail of the windmill follows the wind so does the lamp follow the user. 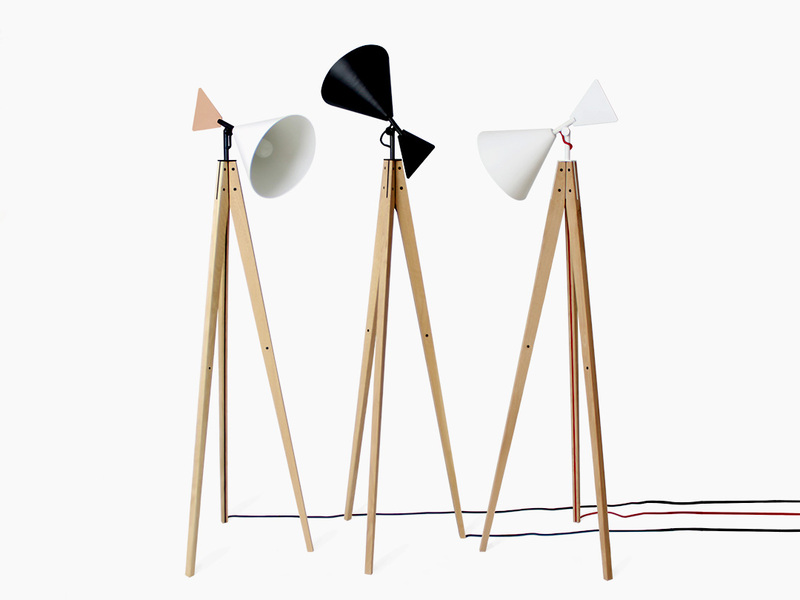 The shade provides a cone of light suitable for reading or writing but can also be used just for creating a warm ambient in the room. 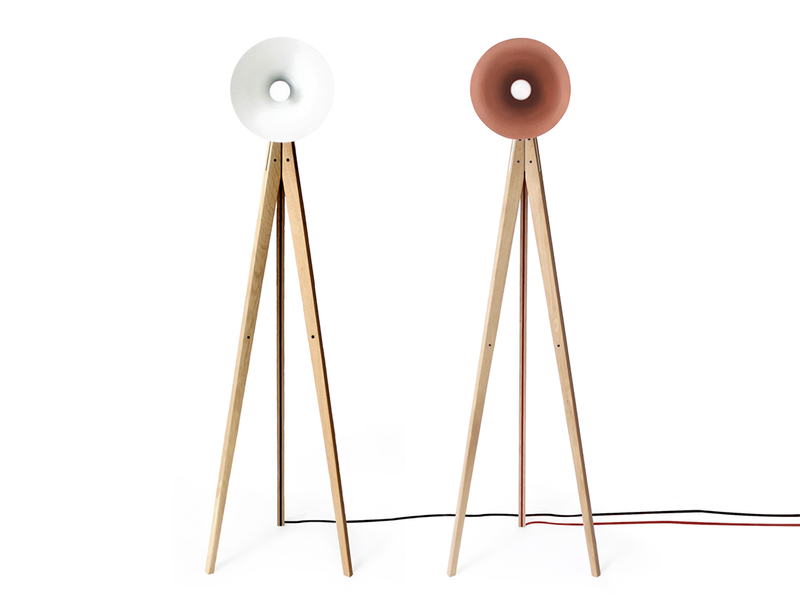 The contrast between shaded and the illuminated area is well defined due to the opening and form of the shade. 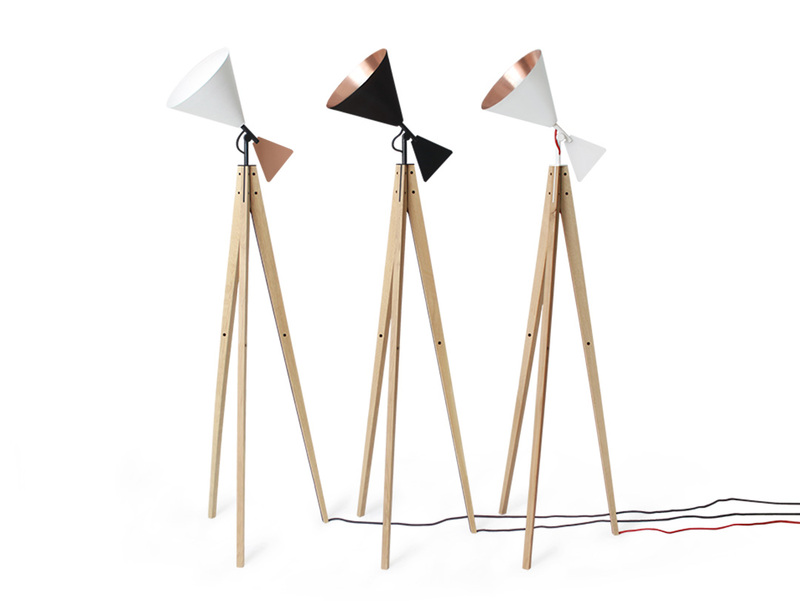 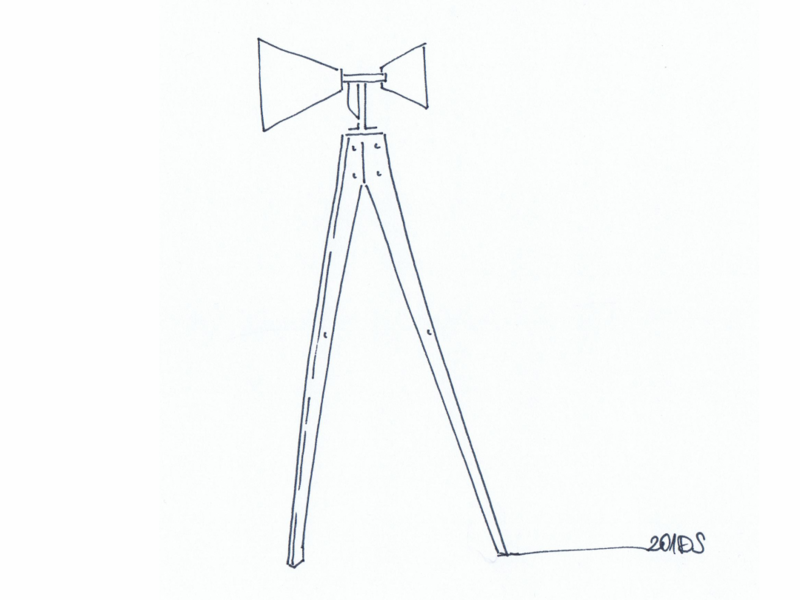 The shade can be rotated around the stem of the lamp at 180 degrees and made to face up or down at 75 degrees. 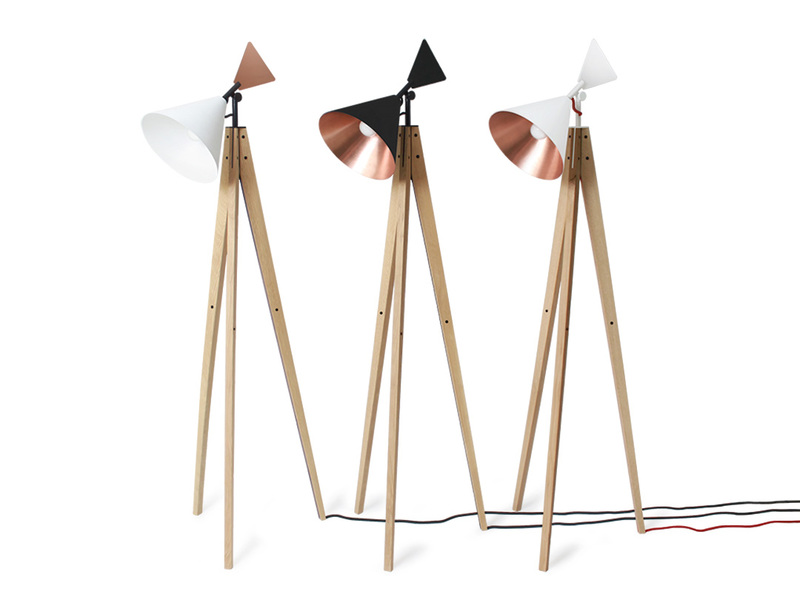 The floor lamp is delivered disassembled but it can be put together just by attaching the legs to the stem of the upper shade system.